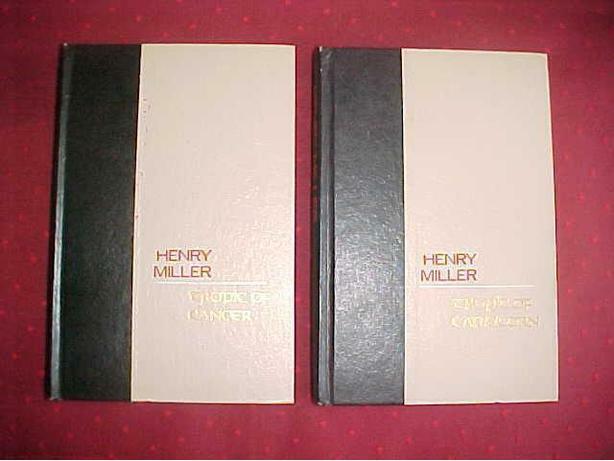 THE AMERICAN WRITER HENRY MILLER WAS KNOWN FOR BREAKING WITH EXISTING LITERARY FORMS. TWO OF HIS MOST FAMOUS WORKS THE TROPIC OF CANCER AND THE TROPIC OF CAPRICORN WERE BANNED IN THE UNITED STATES UNTIL 1961. BOTH OF THESE NOVELS WERE PUBLISHED IN THE UNITED STATE BY GROVE PRESS IN 1961. BOTH ARE IN VERY NICE CONDITION APPEARING TO HAVE NEVER BEEN READ.